Imagine living on the streets and meeting someone – a paramedic, a social service professional, a clergy member – who inspires you to start the work to improve your life. You summon up your courage and scrape together enough coins for bus fare to the agency that’s going to change everything. But when you arrive, people ask you for a half-dozen things you no longer have. Your social security card got wet and fell apart during a big rain two summers ago. Sure, you used to have a driver’s license, but lost it a while back when your backpack was stolen. You haven’t seen your birth certificate since high school. Sorry, says the well-meaning person behind the desk. There’s nothing we can do without those documents – maybe you can replace them. She doesn’t say how. Defeated, you head back out to the sidewalk, wondering why you bothered. Life is hard, you can’t change it, and nothing’s ever going to get better. If people really want to help, you wonder, why is this so hard? Are We Ready to Replace Red Tape? In the heart of Austin, a booming city with a vibrant tech sector, homelessness and equitable access to community resources remain very real issues. Kerry O’Connor, chief innovation officer for the city of Austin, and her team conducted three years of research into the challenges that those experiencing homelessness encounter. They also partnered with local coalition Homeless Outreach Street Team (HOST) to study the limitations and obstacles faced by service providers working with the homeless population. The research team saw that for those living on the streets, it was easier to access drugs and alcohol than social services. Drug dealers offered an easy way to numb trauma and escape a harsh reality. Society, on the other hand, required paperwork and processes to prove eligibility for services. What could happen, the team asked, if we made it equally seamless to seek help? Building on a growing body of work around the concept of identity-as-a-service and leveraging new technologies, O’Connor’s team built something entirely new. MyPass Austin is a blockchain-enabled platform that facilitates resident access to vital social and health services by digitizing their identification and other key records. Why Blockchain to Address Homelessness? Experts consider blockchain a better alternative to ordinary cloud or “box” storage systems primarily because of its proof of authority, or verification/certification ability. Blockchain information lives in a shared, and continually reconciled, database that can be accessed from anywhere in the world. The blockchain database is hosted by millions of computers simultaneously, meaning there is no centralized version to hack or corrupt, and each document has its own access permissions and requirements. MyPass uses blockchain to center the person experiencing homelessness in the conversation and to give them control over who sees what information. “Ultimately,” says O’Connor, “the human is the best data integrator, and should be the one sharing specific items with specific partners with a smart contract. “Blockchain can’t fix everything, of course. It won’t change the number of beds available in a community, or the number of trained physicians on call. But it can reduce friction as people enter the system and connect them more quickly to the support they need. 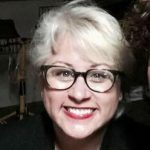 For her team, the next step is compiling the data and practices they’ve researched into a minimum viable product (MVP) and seeking feedback from a variety of users, from public safety and emergency management personnel to social service agencies to people experiencing homelessness. Once the platform is complete, the city plans to make the tool open source – free, transferable, and scalable. The principles underlying MyPass have obvious public sector applications – coordinating services for refugees, or for those displaced by a natural disaster. And it’s not impossible that this tool will find uses in the private sector; for example, storing an individual’s tax records, banking importation, past addresses, and more to streamline the home buying process. But it’s just as easy to start small. For those interested in starting an IAAS program in their community, O’Connor says the first step is to identify your existing network: who’s in your coordinated entry system? What would help them better serve those experiencing homelessness or other challenges? In smaller communities, it’s even possible to start analog, using local notaries, a consistent document validation process, and centralized, secure physical storage of notarized copies of an individual’s documents. 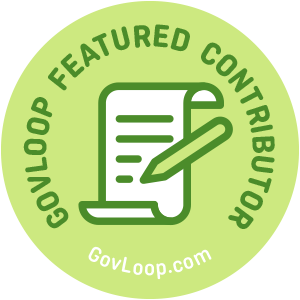 Jennifer Houlihan is part of the GovLoop Featured Contributor program, where we feature articles by government voices from all across the country (and world!). To see more Featured Contributor posts, click here. Great story Jennifer! Blockchain is an abstract concept for many non-tech people but hearing actual case studies and use cases, like this one, really helps to show its potential. This is one of the most insightful case studies I’ve read about blockchain yet and really explains how blockchain can be used to solve some of government’s most pressing challenges. Thank you for humanizing blockchain and for making it relevant through awesome storytelling. I can’t wait to see where this goes and how other federal, state and local agencies adopt the good work that Austin is doing. Thanks so much for sharing! I love that Austin is taking these steps to combat homelessness – Go Austin!